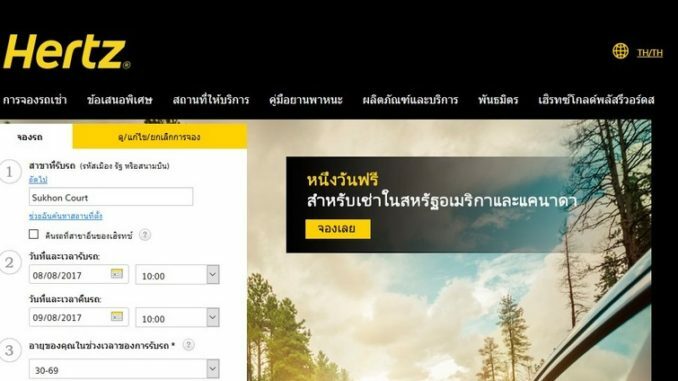 If you travel in Thailand and want to stay near Bangkok, you might want to rent a car to be independant. Before deciding that, you can check the quotations of drivers as going to Kanchanaburi or Pattaya in taxi is something doable and hassle free. 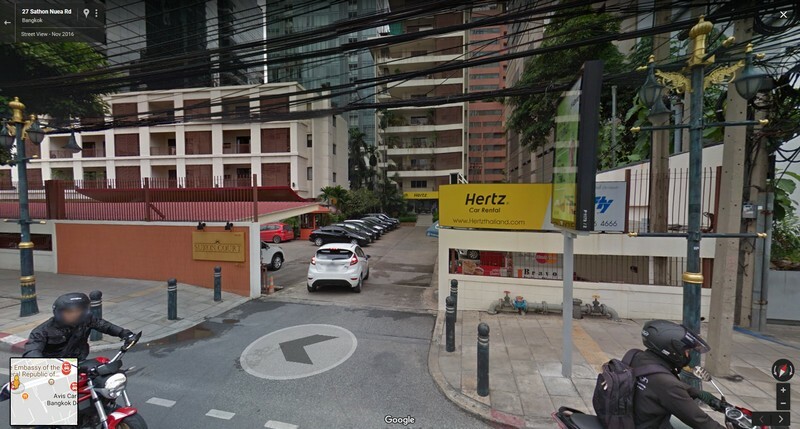 All the main international rental cars companies are available in Bangkok : Hertz, Budget, Avis, Sixt, etc. If you want to play it safe, have some credit card special deals with an international company or even don’t know where to begin with, you can just check the different ones. You might want to find one at the airport. 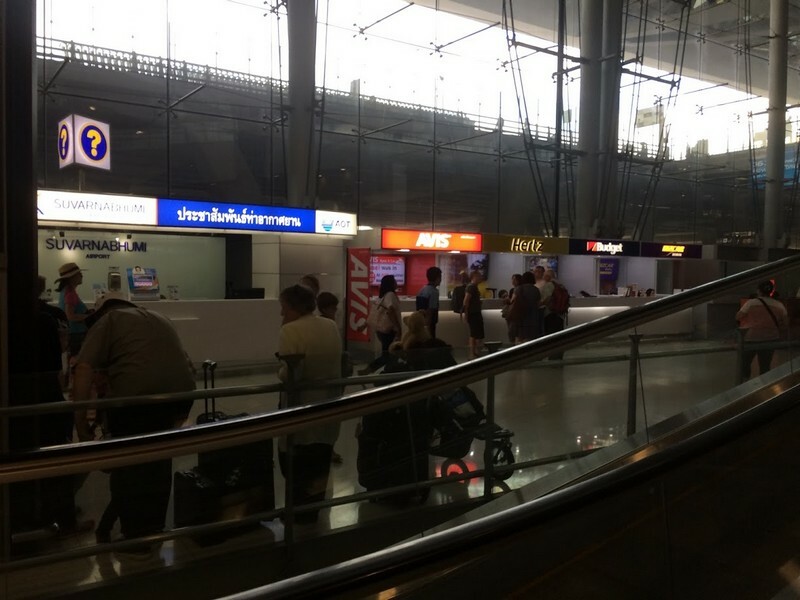 Luckily, you can find them all in Suvarnabhumi Airport as well as Don Mueang. Note that you usually have a bit more choice of types of cars at Suvarnabhumi. There are some counters accessible just when you get out of the airport. If you’re more likely to go local, you can try Thai Rent a Car available at both airport, and on Petchaburi road and Ratchapisek. If you prefer to rent a car from the city center and don’t fear the huge traffic around Sukhumvit, you can find easily a branch either around Asoke (accessible via MRT or BTS) or on Sathorn road (around Lumphini MRT ). Note that these roads and neighbourhood are very busy with traffic and you might get stuck for quite some time either when you take the car or when you give it back. Renting a car in Bangkok usually depends a lot from the category of cars you want or need. Of course, the bigger/better you want, the most expensive you get. The first price usually begins between 800 to 1000thb. A 5 seat berlina will be between 1500 and 2000thb. A SUV will be over 2000thb. Of course, if you want to give the car back at another location, it will cost you an additional fee. Are you sure you don’t want a driver ? Depending on where you go and when you go, you might need to go hassle free and take a taxi to move around Bangkok. Most of the places including Pattaya, Hua Hin, Kanchanaburi, Ayuthaya are doable with a driver and a limited cost. A 1 way to Pattaya cost around 1200thb for example. This can be very interestang and also less dangerous if you’re not used to drive on the left, if you’re tired or if there’s a lot of people on the road (for example, Songkran period is the worst to take the road as accidents numbers are huge).